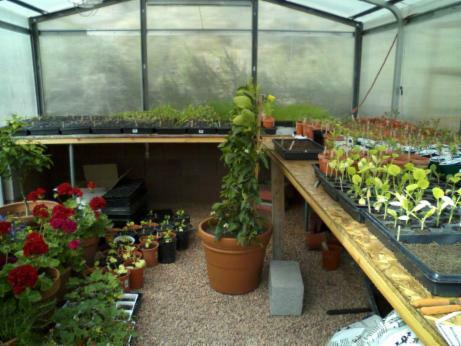 The greenhouse, built in early 2007, serves not only to warm growing seedlings later to be transplanted into the garden, but also provides an ideal climate to winter over citrus trees, tender flowers, and even a few tomato plants. 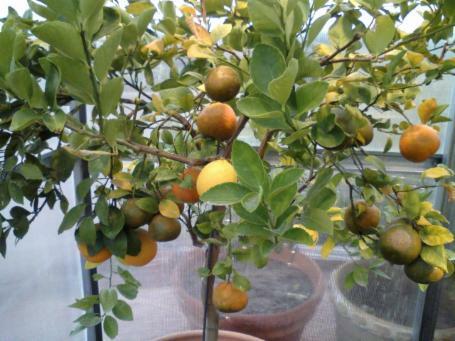 It is a wonderful thing to pick a few tomatoes, lemons or grapefruit in late January. 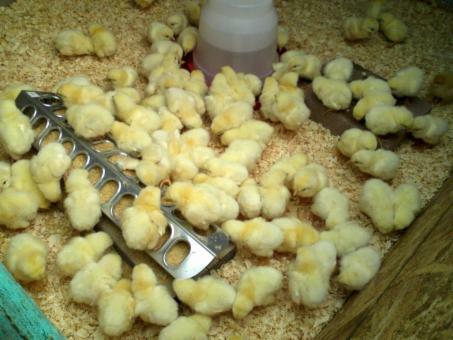 By the time the late frosts have come and gone and the seedlings have been transplanted, the greenhouse makes an ideal place to raise baby chicks.